Home > 2014 HGTV Dream Home in Truckee! 2014 HGTV Dream Home in Truckee! HGTV is a popular cable channel with lots of information about homes – updating, buying/selling, you name it! It’s a great place to get ideas – and dream! Since 1997, Home and Garden Television’s popular annual project and sweepstakes has been to highlight a home built with the latest in design techniques, and then to give it away to one lucky winner. The sweepstakes kicks off on January 1st of each year with a television episodel higlighting the fully furnished, custom-built home they have chosen for the year, valued at over one million dollars. The sweepstakes winner not only gets the home, and the furnishings and decorations within the home, but a new 2014 GMC automobile, and $250,000 in cash, too! The total value of the grand prize is more than $2 million. Viewers can enter online – no purchase is necessary. However, acutallly winning the 2014 HGTV sweepstakes might be a long shot . In 2013, over 77 million entries were received and only one woman got the home. But still, there’s always a chance! This year’s HGTV Dream home is a 3,200-square-foot dream home located right here in Truckee, in the Schaffer’s Mill community! It’s got a a great modern floor plan and feel, and it fully embraces its gorgeous natural setting. The Schaffer’s Mill community is a popular gated community in town set on 475 acres in the Martis Valley and offering year-round recreational opportunities. Since 2004, the Dream Homes have been available to tour by the public, with ticket proceeds going to a local charity in the town in which the home is located. 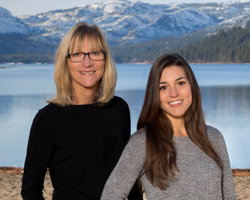 This year, the Tahoe Forest Health System Foundation is the beneficiary of the HGTV Dream Home Lake Tahoe 2014. Funds from ticket sales will support the Wellness Neighborhood programs and their mission to fund community initiatives. The Wellness Neighborhood programs reflect the hospital’s partnerships with local community based organizations. The goals are to increase access to health care services, strengthen their ability to focus on important health care issues, and to optimize our community’s health. Tickets can be purchased online for just $20. Volunteers are needed, as well. All the info on the 2014 HGTV Dream Home can be found here.